You see cool themes on almost all screenshot of Ubuntu all over the internet but don't know how to do it. No worries, it can be done in no time. First, if you use Gnome, go to Gnome Look and download from GTK 2.x the themes you want. If you use KDE (Kubuntu), go to KDE Look instead and under Themes / Styles, download the themes you would like to use. 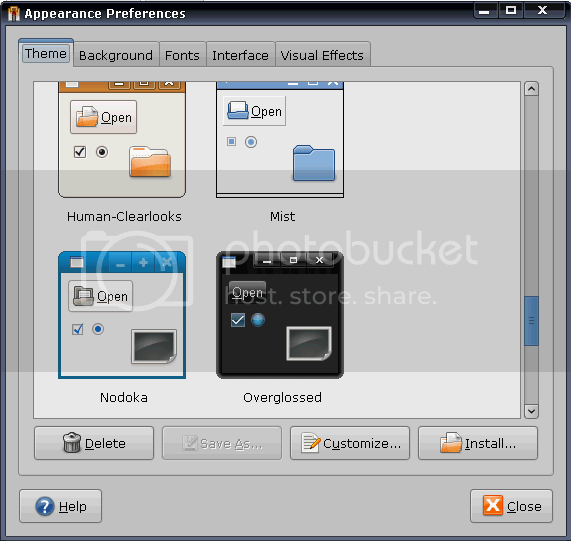 To install them, simply go to your Ubuntu Panel > System > Preferences > Appearance and either drag a theme using drag-and-drop intro the dialog box or click "Install" and select the themes packages you downloaded. You can still customize the aspect of the new theme by clicking "Customize". You can change the way controls, colors, window borders icons and pointer look like. Please note that if you use Compiz, you need to go to System > Preferences > CompizConfig Settings Manager and under "General Options", on the "General" tab there is a field called "Cursor Theme" where you have to enter the name of the cursor theme (exactly as it is called when going to System > Preferences > Appearance), otherwise it will revert to it's initial status after system restart. You can of course use the above websites to download some different icons or pointers too. But for the windows layouts, there's a much cooler way to handle this: using Emerald. Emerald needs Compiz to run and you can control the window borders, look and feel. You can set effects to your window like glass, glow, fade, choose active buttons, their position on the window (like close, minimize, maximize, shade) etc. 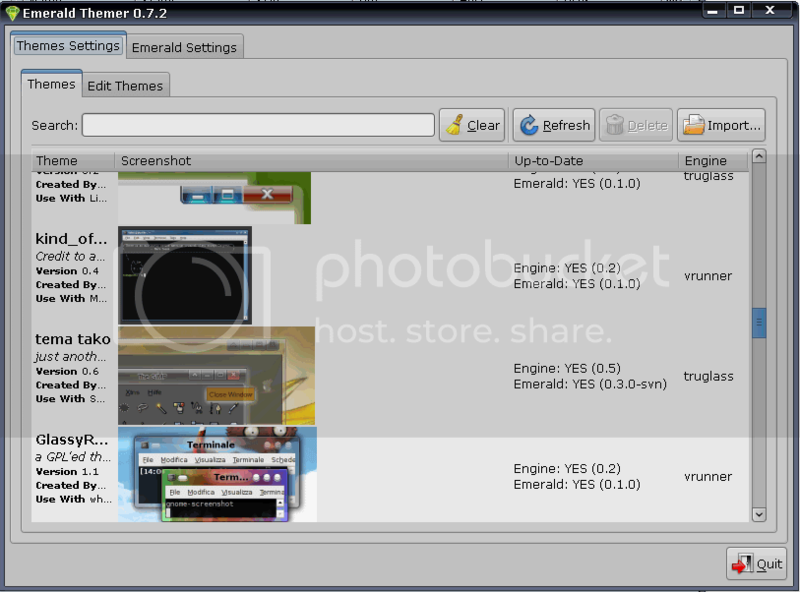 Now download some themes for Emerald. You can get some from here, here and the above mentioned websites. 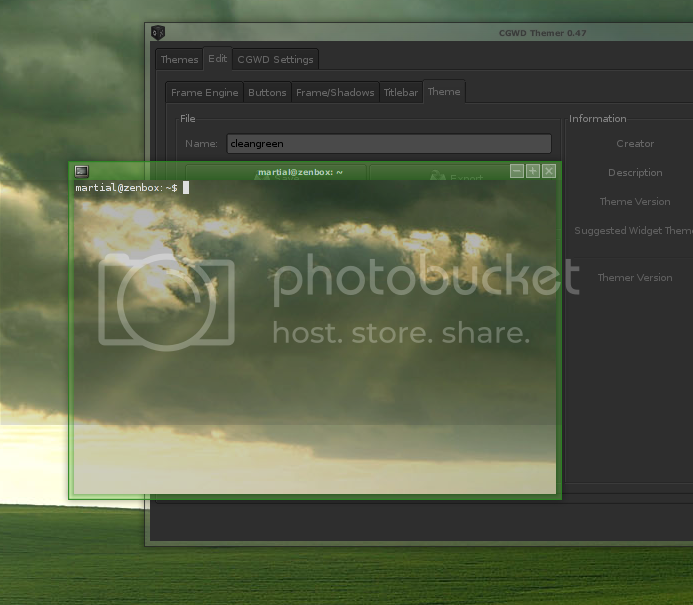 Change the themes in Emerald Theme Manager and watch them changing on your applications windows. Read the rest of the Ubuntu Newbie Guide.